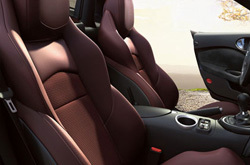 Does the 370Z have what you want out of a vehicle? Scroll past the video to find out! Reliable Nissan is a well-known Nissan dealer in Albuquerque for a reason. We provide you with reviews authored by automotive writers at the height of their craft. Everything perspective car buyers need to make sensible decisions is right here - each passage is stuffed with [helpful material and specs - all at your fingertips. We wish you the best of luck in your search for the perfect Nissan! 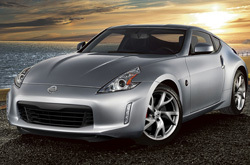 By examining the 2013 Nissan 370Z side-by-side with the 2013 Chevrolet Camaro, Dodge Challenger, Ford Mustang and the Hyundai Genesis Coupe, and you can see that the 370Z beats out those autos in quite a few zones. Scan the hightlights below. Get a generous warranty on repairs - plus access to genuine Nissan parts and phenomenal Nissan technicians - at your well-known Albuquerque area Nissan repair center. Even the quality Nissans in Albuquerque can take a walloping, so turn to the Nissan service and autp repair aces in Albuquerque at Reliable Nissan. We can manage a straightforward job as an oil change, or deliver quality complex Nissan 370Z service and repairs like strut and shock repairs, timing belt replacements and 370Z transmission rebuilds. Reliable Nissan's got you covered for tried-and-true Nissan repair and factory-scheduled service in Albuquerque. You can view and print out coupons for repair at the ensuing link.